Natural dieted product made of high protect bioactive components of medical plants and roots from mountains Bjelasica and Durmitor, made in fresh condition contains medical strength of nature. Product helps to patients with hard malign diseases in different phases of cancer development and has certificate for correctness. In organism product reveals powerful effect of natural immune modulator, strengthening immune and protective strengths of organism as one of the most important factors in the fight against malign disease. Also, acting as plant harmonizing tonicum, harmonize and brings into balance disordered functions in organism caused with malign disease. 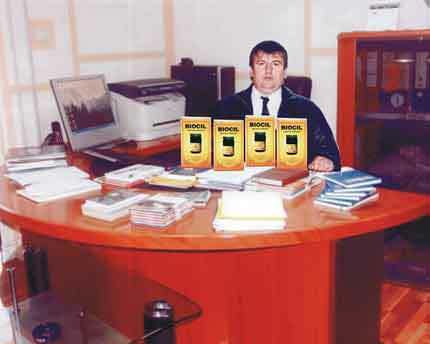 Followed by doctors, the product showed extremely good results in treatment of malign tumors of lungs, liver, kidneys, stomach, colon, prostate, brain and women reproductive organs uterus, ovaries and breasts. Considering the fact that product is completely clean in the sense that it does not contain any chemicals, additives, preservatives, it can be simultaneously used with any medical therapy. When it comes to conditionally malign diseases, BIOCIL is successfully used in familiar polyps colon, ulcerative colitis, multiple sclerosis. It is accepted that are achieved extremely good results with simultaneous use of BIOCIL and radiation: cytostatic therapy. BIOCIL has anti-cancer and cytostatic effect. At many patients with lung cancer, mediastinum and metastasis on the brain and liver, the diseases "disappeared", which cannot be explained from medical point of view. 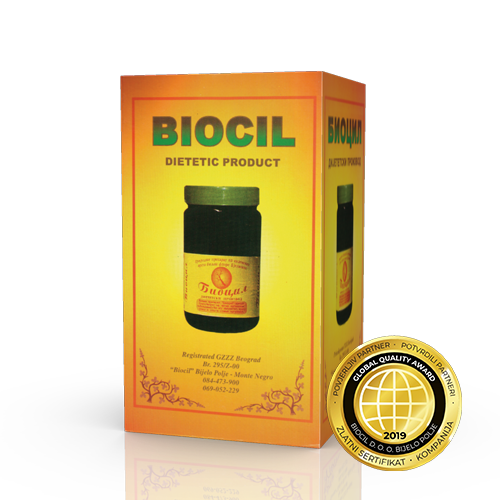 BIOCIL has strong antioxidant and lypolitic effect, "cleaning" blood vessels from ateromatosis stratum and blood from LDL (bad cholesterol) and triglycerides. BIOCIL is shown as effective at many auto immune diseases and systematic chronic diseases. BIOCIL considering its composition, makes the immunity stronger, improves transfer of nourishing courses, helps making fragments and enzymes. Product BIOCIL-oil for external use shows useful medical effect at diseases of skin and mucous membrane (eczema, burnings, phlebitis, including treatment of hemorrhoids, fungal diseases on fingers and nails, rashes etc). BIOCIL does not make any harm on blood elements and marrowbone. It can be used with chemotherapy and radiation. Decreasing of immunity (HIV, herpes zoster, candida, candidiasis, postoperative recovery, anorexia). Change of energetic condition (depression, stress, leakage of life energy, psychosis and psycho neurosis).